As we live our lives from day to day, no one wants to focus on the horrible disasters that can sometimes happen. Bankruptcy. Foreclosure. Divorce. Credit card debt. What do all of these have in common? For one, they harm your credit score and can hurt your chances of purchasing a house, automobile, and much more. Sometimes we make mistakes and other times things happen that are beyond our control. At Berglund INFINITI of Roanoke, we understand how important it is to have a support system when you need it most. We want to be there for you when you’re in need, and we’ll do everything in our power to help. So, if you’ve found yourself in less than ideal circumstances and you’re in need of a vehicle, come see us. Our financial gurus in our Finance Center are here to assist you. Keep reading to learn more about all we can do for you. For those of you who are apprehensive about the process, don’t worry. Our experts have seen it all – good credit, bad credit, and no credit. We look at each unique situation to determine how to help. With special financing, we can hopefully find a vehicle that fits your budget and help you save some along the way. Interested in getting started? Feel free to fill out the form on our site to see if you’re pre-approved. Once you’ve received pre-approval, the process is even easier from there! Our employees will sit down with you and take a look at all the information you can give us. If you’re wondering what a monthly payment might look like, don’t hesitate to use the payment calculator on our site. Simply type in the price of the automobile, your down payment, and other information. As you can see, Berglund INFINITI of Roanoke provides as many ways as we can to help make this process stress-free and hassle-free for you. We know the car-buying process can be stressful, but we’re here to ease your minds and make certain you’re not feeling overwhelmed. Come see us soon! You’ll find our dealership conveniently located at 5000 Franklin Rd, Roanoke, VA 24014, which means residents of Starkey, Cave Spring, and Narrows are just a short drive away. During your visit, our friendly and knowledgeable team members will be more than happy to sit down with you to go over your options, listen to your concerns, and assist you in any way. We’ll also show you around and let you take a test drive or two. We look forward to seeing you soon and putting you behind the wheel of a new INFINITI! 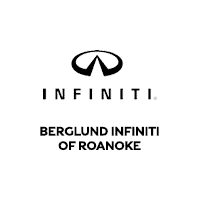 Berglund INFINITI of Roanoke is an auto dealer with strong relationships, and we are committed to finding you the perfect car loan company to suit your car finance needs. Receive Special Financing Options towards the purchase of your new INFINITI vehicle! If you are located near Christiansburg or Blacksburg, VA, our Finance Department is the go-to place for an INFINITI auto loan or car lease. We’re eager to provide you with financing for your new car, or even assist you in used car financing. Visit our dealership today for special INFINITI finance options. At Berglund INFINITI, we strive to get you into the INFINITI of your dreams. We work to provide drivers with fast auto loan qualification, regardless of what their credit looks like. 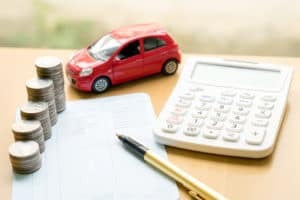 It doesn’t matter if you have Good Credit, Bad Credit, or No Credit at all, our finance professionals will assist you with securing an auto loan that fits your situation. Start the process of obtaining your luxury vehicle today by entrusting your auto financing to us! Low-interest car loans are also available for customers with existing loans. We can easily help you with refinancing your car loan, or with adjusting the term of the contract. You’re just a step away from approved car financing! Get started with your credit approval by completing a finance application for Berglund INFINITI. For any questions or concerns about auto financing, call (540) 277-9697 to speak with a sales professional. We can’t wait to assist you with your luxury car purchase.